Parkes, C. M. (1981) Evaluation of a bereavement service. Journal of Preventive Psychiatry, 1, 179–188. Relf, M. (1988) Involving volunteers in bereavement counselling. 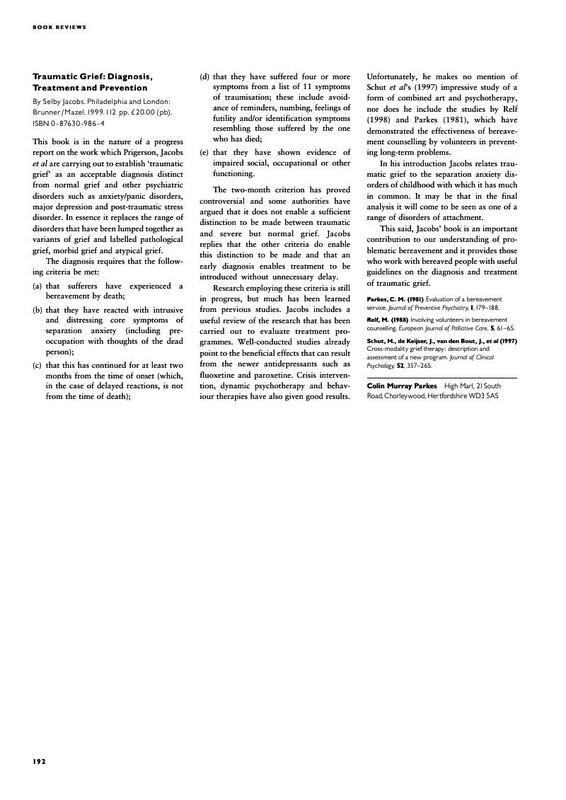 European Journal of Palliative Care, 5, 61–65. Schut, H., de Keijser, J., van den Bout, J., et al (1997) Cross-modality grief therapy: description and assessment of a new program. Journal of Clinical Psychology, 52, 357–265.